A New Memorial Proposed for D.C.
“Red Horse Tavern” Reenactment in Sudbury, 1 Nov.
“The 18th-Century Woman” in Arlington, 28 Oct. Revolutionary Book Talk at Old South, 30 Oct.
“History of Boston” Online Course Starts 20 Oct.
As I discussed yesterday, a claim appeared on Wikipedia last month that Thomas Paine started out making stays for sailing ships, not stays for women to wear, and that Paine’s political enemies misrepresented him as a maker of underwear. This fraud apparently fooled every historian and biographer who has written about Paine. At least, the citations that Wikipedia editor “Jkfkauia” inserted after that statement did not actually name any scholar who had seen through the ruse. In fact, those citations offer no outside support for the new statement. Normally I’d point out that “Jkfkauia” has the responsibility to provide evidence for a claim, especially if he or she is going to dress it up with footnotes. Skeptics don’t have the burden of proving a historical statement is untenable. But I can’t resist poking some holes in the theory. First, it wasn’t just Paine’s enemies who wrote that he had trained as a staymaker. Paine’s friends did, too. The jokes about Paine making stays for women appeared during and shortly after his lifetime when he or his friends could have refuted them. After all, Paine didn’t build a career as a political writer on two continents by staying quiet about his opponents’ errors. Second, I have yet to find any eighteenth-century use of the word “staymaker” to mean someone who made stays for ships. Those were a type of rope, and the common term for someone who made ropes was “ropemaker.” If “staymaker” was also used for someone who spun stays for ships, there would surely be period sources remarking on its double meaning. Furthermore, Paine’s early biographers identified particular staymakers he worked for: his father in Thetford, a “Mr. Morris” on Hanover Street in London, and a “Mr. Grace” in Dover. Records from the late 1700s have helped recent biographers identify the latter two as John Morris and Benjamin Grace. Morris was in fashionable Covent Garden, not a shipbuilding center. Thetford is an inland town in the east of England. According to “Jkfkauia,” Thomas’s father John Pain was supplying a port downriver with ropes, but it wouldn’t have made economic sense for a ropemaker serving ships to be so far away from the sea. On the other hand, half the people in Thetford needed stays. Making them was a steady, skilled profession. In fact, Thomas Paine wasn’t the only British political writer of the period who had been trained to make stays. Hugh Kelly, who wrote propaganda for Lord North and plays and poems for himself, was also apprenticed to a staymaker as a teenager. And, like Paine, people who disliked Kelly didn’t let him forget that he’d trained to sew women’s underwear. Because he had. Wikipedia records four other edits by “Jkfkauia” in 2012 and 2013, none having to do with eighteenth-century history. Those “citation needed” variants were added later on that same day by “Tedickey,” an active Wikipedia editor who’s worked on entries about the Articles of Confederation and Connecticut Compromise. “Jkfkauia” did not cite or name the “Paine researchers [who] contend his father’s occupation has been widely misinterpreted.” As far as I can tell, no biographers from the 1790s, when Paine became prominent as a political writer in Britain, to the last decade identified him or his father as making stays for ships. And, despite the complaints of his fans, Paine has not been neglected by biographers. It’s true that Paine’s political enemies in the 1790s made fun of his early work as a staymaker. 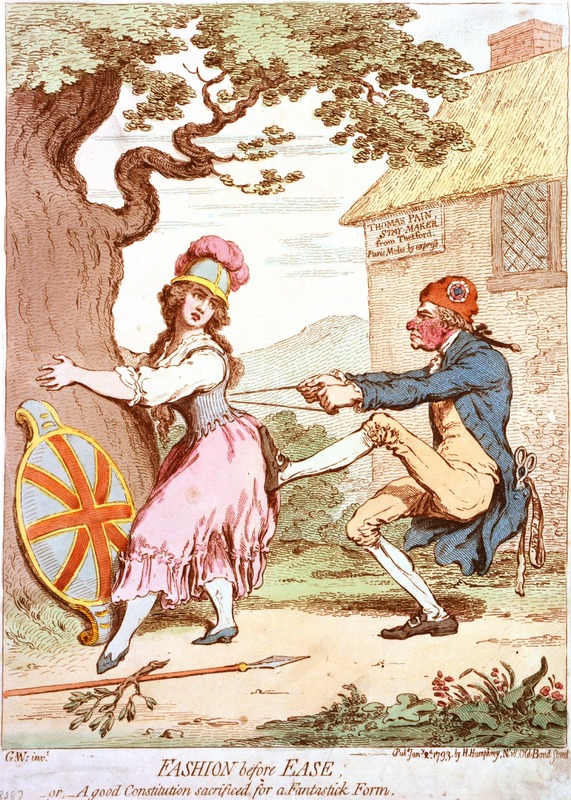 In 2011 the Two Nerdy History Girls analyzed two political cartoons (one above) that showed “Thomas Pain / Stay Maker” squeezing Britannia into stays that were too strait for her. But “Jkfkauia” wrote that Paine had never made stays, only ropes for ships. TOMORROW: Does that make any sense? In 1980, Lena Santos Ferguson applied for membership in the Daughters of the American Revolution. She traced her ancestry to Jonah Gay, who in 1775 was on the committee of correspondence for Meduncook, Maine, later called Friendship. 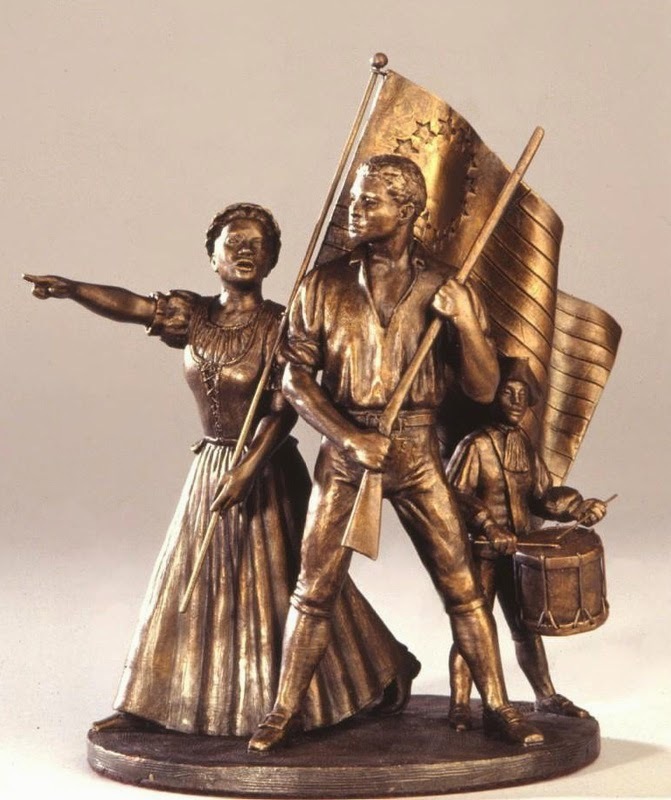 The organization soon came around to supporting a project to document over 6,000 black Continental soldiers and in 2008 published the reference book Forgotten Patriots. Last month, Congress unanimously authorized a site for the memorial: the northeast corner of 14th Street and Independence Avenue, a main gateway to the city, in what is currently a surface parking lot next to the Department of Agriculture. And on Sept. 26, President Obama signed the authorization into law. The National Liberty Memorial was formally approved for placement on the Mall. . . .
Here’s the website for the effort to complete this monument. Above is sculptor Michael Curtis’s proposed design. After my mention of the Convention Army yesterday, Boston 1775 reader Christopher Hurley alerted me to the auction on 1 November in Marlborough of six letters related to those prisoners of war. Six Letters…dated April through October 1778, from Major General William Phillips to Major General William Heath written from Cambridge, Massachusetts, relating to conditions, clothing, and monetary needs for the Convention Army surrendered after the battle of Saratoga. Unfortunately, the auction house’s online description doesn’t give the dates for those letters or offer other details on their contents. 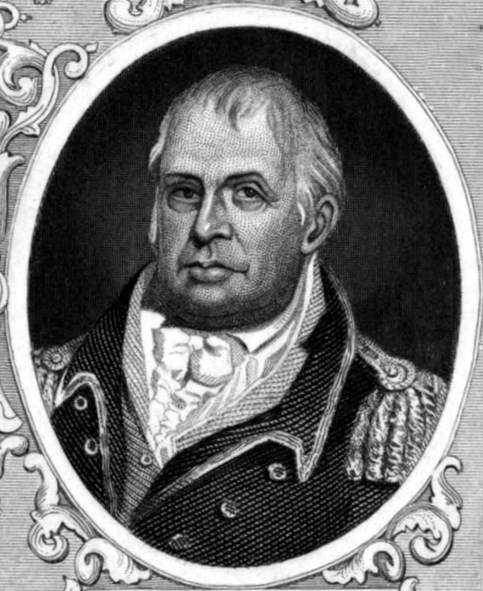 Meanwhile, Gen. William Heath (shown above) had been named American military commander of the region. He thus had responsibility for finding housing and supplies for all those prisoners, treating them humanely but also making sure they didn’t disrupt local life too badly. The low point came when a young American sentry shot and killed a British officer for venturing too far from camp. As a result, Phillips and Heath exchanged a lot of letters in 1778. Each man probably kept a copy of his own letters, at least the most important ones, so there were two parallel collections. And neither appears to have survived intact. In spite of the enormous mass of papers preserved by General Heath it is certain that many documents, some of them of considerable importance, had disappeared before the collection came into the possession of Mr. [Amos A.] Lawrence [around 1838], as stated in the preface to the second part of the Heath Papers. 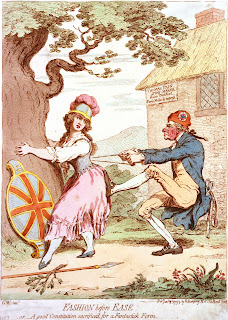 A striking illustration of this occurs in connection with the controversy, in 1778, between General Heath and General Phillips of the Convention troops. In General Heath’s Memoirs and in our previous volume are numerous letters bearing on the subject, and it was supposed by the Committee that in one or the other place would be found everything of interest or importance relating to it; but in the “Report on American Manuscripts in the Royal Institution of Great Britain,” issued in London at about the same time as our volume [in 1904], are a number of letters printed or calendared from copies sent over to England, of which neither originals nor copies now exist in the Heath Papers. They contain no new facts, but they should not be overlooked in any thorough study of the episode of the Convention troops; and it is not easy to see how they could have been lost, except through carelessness after the death of General Heath. The Boston Public Library has one letter from Heath to Phillips dated 7 April, apparently Heath’s draft. The Gilder-Lehrman Collection has two more, dated 9 June and 1 August. Three letters from Phillips to Heath, dated 23 April, 14 May, and 16 July, are part of the Lloyd W. Smith Collection at Morristown National Historical Park, according to Robert P. Davis’s 1999 biography of Phillips. Which means multiple institutions might like to add this batch of correspondence to their collections. On Saturday, 1 November, Longfellow’s Wayside Inn in Sudbury will host the annual “Battle of the Red Horse Tavern” reenactment. This event isn’t designed to recreate any specific fight in the Revolutionary War. Rather, it offers a chance to explore a typical skirmish scenario. Start the day by listening to colonial music, talking with re-enactors, visiting sutlers, observing cannon firing demonstrations and more. Then watch as the Colonial and British armies battle for control of the Red Horse Tavern. Eighteenth-century taverns were important in the Colonies as a place to hear the news and other current events, engage in commerce, conduct militia drills and provide respite for weary travelers. The Red Horse Tavern sitting along the Boston Post Road, the major east-west route to and from Boston and New York, was crucial in that anyone or anything travelling into or out of Boston to/from the west would have to pass by its door. Whichever side controlled the Tavern could control the flow of supplies, troops and information. The Redcoats are determined to wrest control, no matter the cost, while the Colonists will do all they can to stop them and send them back to Boston. Who will control the tavern? Come and find out. Of course, in real life, rural Massachusetts wasn’t contested territory after 19 Apr 1775. The only British army to traverse that countryside was the Convention Army of P.O.W.’s after Gen. John Burgoyne’s surrender at Saratoga. But there were plenty of skirmishes over taverns, crossroads, and other key points elsewhere in the young U.S. of A. Gain greater understanding of what it meant to be a middling or working-class woman in New England prior to the Revolutionary War, through diaries, letters, paintings, and objects. Usher comes to Arlington from Roseland Cottage in Woodstock, Connecticut. She has also worked at the Bowen House in that town and at the Daniel Benton Homestead in Tolland, and she’s an avid reenactor. This event starts at 7:30 P.M. in the Masonic Temple at 19 Academy Street. Are kept by a Sugar-plumb quietly down. This exhortation to women to boycott goods from Britain continued for twenty more lines. A footnote identified the “Taxables” as “Tea, Paper, Glass, and Paints.” George Grenville had not actually been in office as Chancellor of the Exchequer or First Minister for years. Those lines were credited only to “A FEMALE.” For a while Milcah Martha Moore got credit because the poem appeared in her commonplace book. 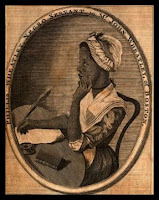 But now scholars attribute the lines to Hannah Griffitts (1727-1817). “Fear in the Revolutionary Americas” at Tufts, 31 Oct. This conference reflects the current academic interest in examining the entire “Age of Revolutions” that started with American independence and ran through the upheavals in France, Haiti, Mexico, and South America, rather than stop at national boundaries. Co-sponsors include the university’s Departments of History, Latin American Studies, and Romance Languages, and the Center for the Study of Race & Democracy. The sessions will take place in the Coolidge Room of Ballou Hall. Here are directions. To reserve a slot, contact Ms. Khalilah Tyre, administrator of Tufts’ Humanities center. On Thursday, 30 October, the Old South Meeting House will host a book talk by Alex Myers, author of the novel Revolutionary. Deborah Samson, a woman who disguised herself as a man, joined the Continental Army (as Robert Shurtliff), and participated in the final battles of the Revolutionary War. This meticulously researched debut novel brings to life the true story of Deborah’s struggle against a rigid colonial society and her harrowing experience on the front line. The author, who was raised as Alice and came out as transgender while a student at Phillips Exeter Academy, is a descendant of Deborah Samson. Join us to hear Mr. Myers’s insights into both the social world of colonial New England, and his own creative process of merging history and fiction. For Myers’s talk, the doors will open at 6:00 P.M. for Old South members and fifteen minutes later for non-members. Since the place can seat hundreds, everyone will get a seat, but members will have a chance to be up front. Myers will sign copies of Revolutionary after his talk. On 5 May 1772, the North End Caucus decided to support four men as Boston’s representatives to the Massachusetts General Court, or provincial legislature: Thomas Cushing, Samuel Adams, John Hancock, and William Phillips. The next day, as I noted two days ago, the town met and elected those four men. That slate omitted James Otis, Jr., who had represented Boston for most terms since the early 1760s and led the opposition to Gov. Francis Bernard most of that time. But since a coffee-house brawl in October 1769, people had come to see Otis as unreliable and mentally unstable. William Phillips (1722-1804) had held many town offices over the years, including selectman and moderator of town meetings. The North End Caucus, and the men of Boston, no doubt saw him as a dependable guardian of their interests in the General Court. So that settled the question of representation, right? Not that year. Gov. Thomas Hutchinson was maneuvering to separate Hancock from the influence of Samuel Adams and even dreamed of making him an ally. It looks like Hutchinson let it be known that if the legislature elected Hancock to the Council, or upper house, he wouldn’t veto that selection, as he and his predecessor had done in the past. That would open up another representative’s seat. Voted—unanimously—That in consequence of the past misconduct of —— —— Esq. this body will oppose his appointment to any office of trust of the town. Both surviving transcriptions of the caucus’s records omit that person’s name, but I suspect it was James Otis. There were many gentlemen the North End Caucus didn’t think would be good representatives for the town, but Otis was the only one I can picture them discussing as a serious possibility if another seat in the General Court opened up soon. Caucus members wanted to forestall any thought of returning Otis to office. Boston had tried that once already, and it hadn’t worked out well for anyone. The General Court assembled at the end of the month. As things turned out, Hancock was elected to the Council, Hutchinson approved his name, and then Hancock declined to take the seat. He stayed in the House, closer to the voters whose approval he enjoyed, and there was no need for a special election to replace him. There are no records of a North End Caucus meeting between May 1772 and March 1773, so we don’t know how its members reacted to Samuel Adams’s controversial proposal for a standing committee of correspondence in November 1772. They probably supported it, given their usual positions. The town’s selectmen and representatives were lukewarm on the idea at best, and Adams needed the support of town-meeting diehards to get it through. Otis was named chairman of that prominent committee, which seems like a contradiction of this caucus’s vote in May. However, there were twenty other members, and the meeting specifically assigned the responsibility of drafting its first three reports to Adams, Dr. Joseph Warren, and Dr. Benjamin Church, Jr. Otis’s role was limited to presenting those essays to the town meeting on 20 November—the last formal political responsibility granted the man who had once been the most powerful elected official in Massachusetts. Yesterday I described how James Otis, Jr., suffered a severe mental breakdown in the months after he suffered a head injury in a coffee-house brawl in October 1769. (There’s evidence that he’d had manic episodes before then, but the injury certainly didn’t help his stability.) 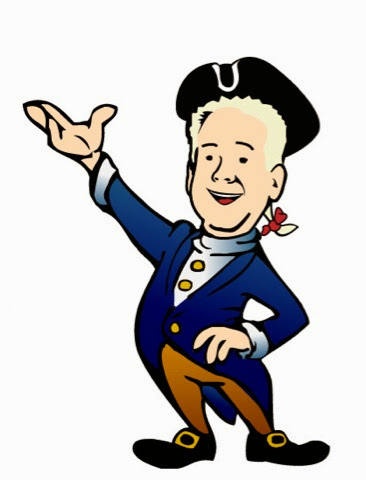 In 1770 Otis didn’t return as one of Boston’s representatives in the General Court, but in March 1771 he ran for that office again and was elected. On 2 June, John Adams wrote in his diary that some people were grumbling about Otis’s “Conversion to Toryism” and that he was “distracted.” It was fairly common in eighteenth-century politics to complain that someone disagreeing with you must be insane, but there were real fears that Otis’s madness had returned. It having been represented to me by the Relations & Friends of James Otis of Boston Esq. that the said James is a Non Compos Distracted or Lunatick Person & a proper Subject for a Guardian. Pursuant therefore to the Directions of the Province Law in such case provided. You are hereby desired and impowered to consider the case of the said James & upon the Evidence you may have Report to me whether you find him to be a Non Compos Distracted or Lunatick Person or not, and such Report to be made under the hands of the major part of you. Then came a mysterious episode in early December. Two young men, Lendell Pitts and John Gray, were in court after a fight. Months before, Pitts had been flirting with a young lady he’d met on the street only to discover that young lady was a teen-aged boy in a dress and that all his friends were laughing at him. Pitts held Gray responsible for that embarrassment—perhaps Gray was in the dress, perhaps he’d organized the prank. Pitts clubbed Gray over the head. Gray sued for assault, and the case worked its way up through the appeal process. John Adams represented Pitts, and his very brief notes on the 2-3 Dec 1771 trial include witness testimony and a couple of lines from “Otis” on an episode of cross-dressing in ancient Rome. This was probably James Otis, who was recognized as a classical scholar. What do those lines mean? One possibility is that Adams repeated some allusions Otis had dropped in a discussion of the case and noted them down with Otis’s name attached. The editors of Adams’s legal papers interpret these lines to mean Otis spoke in court, though he wasn’t representing either side or a witness to the events. G. B. Warden’s 1970 history of Boston goes further and says, “Otis climbed through a window of the Court House and gave a short, hysterical brief on sexual deviations,” but I’ve found Warden not to be reliable on details. Whatever happened in that court case, on 3 December Otis was “carried off…in a post chaise, bound hand and foot,” according to a letter from Hutchinson to Sir Francis Bernard. The two royal governors no doubt felt some pleasure in the fall of the man who had once been their chief political tormentor. TOMORROW: So what does this have to do with the North End Caucus? On 6 May 1772, a Boston town meeting elected four men to represent the town in the Massachusetts General Court, or provincial legislature: Thomas Cushing, the House’s longtime Speaker; Samuel Adams, its Clerk; John Hancock; and William Phillips. There were a couple of notable details about that election. One was how many votes Adams received relative to the other three men; I’ll deal with that later, around Election Day. 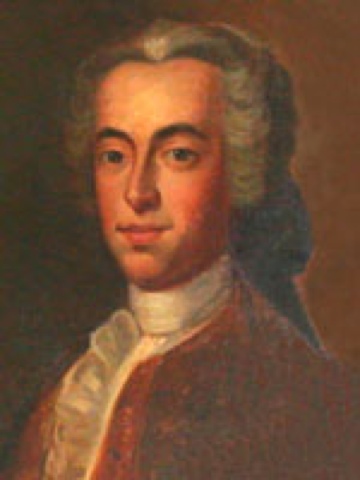 But the first thing to note is that James Otis, Jr. (shown here), was not on that slate of representatives. As a Boston representative, he had led the opposition to Gov. Francis Bernard through most of the 1760s. Otis sat out the General Court election in March 1770. On the slate he was replaced by James Bowdoin, whom Gov. Bernard had pushed out of his usual seat on the Council. When the new governor, Thomas Hutchinson, let Bowdoin join the Council again, Boston had a special election and chose John Adams as its fourth representative. Meanwhile, Otis’s behavior turned wild. On the 16th, merchant John Rowe wrote in his diary: “Mr. Otis got into a mad freak to-night, and broke a great many windows in the Town House.” On 22 April, the day after Ebenezer Richardson was convicted of murder for shooting out his window and killing a boy, Rowe wrote: “This afternoon Mr. Otis behaved very madly, firing guns out of his window, that caused a large number of people to assemble about him.” Acquaintances like John Adams had complained about Otis’s florid behavior on some private occasions, but these actions were public. Otis’s family sequestered him for more treatment. By March 1771, Otis had recovered enough to stand for office again. (Meanwhile, John Adams was suffering health problems and souring on politics; he gave up the legislature and moved back to Braintree.) That year’s Boston representatives were once again Cushing, Adams, Hancock, and Otis. But right away people wondered if Otis was going to be reliable. As Appendix C to his two-volume 1891 biography of Paul Revere, Elbridge H. Goss printed the “Proceedings of the North End Caucus,” which he said had been provided by A. O. Crane, a Boston publisher. Those documents have since disappeared, and historians have used Goss’s transcription as their best source. There are many small deviations between the two transcriptions, such as in italicization or spelling proper names—enough to suggest that they were separate efforts and Goss wasn’t just reprinting from a newspaper provided by Crane. I also saw three significant differences. In the first entry, dated 22 Mar 1772, the caucus appointed a committee to inquire into the “Minovery” of the town according to the 1826 transcription. Eighteenth-century dictionaries define that word as a form of trespass “by hand,” as in cutting wood or setting traps on land one doesn’t own. In the 1891 transcription that obscure word became “Minority,” which makes more sense in a political context but still raises questions. The clause appears to be about consulting with others in Boston about when to have a town meeting and what its business should be. On 4 May 1773, the Boston News-Letter transcription says, the North End Caucus voted “the Pleasant-street [in the far South End] be not accepted as a town-street.” That item doesn’t appear at all in the Goss transcription. Perhaps that’s connected to the fact that the North Enders’ position lost when this issue came up for a vote. At the very least, it’s significant evidence that the North End Caucus couldn’t carry the town meeting on all issues—i.e., they didn’t always represent a majority. The Goss transcription includes a couple of blanks where individuals’ names have been deliberately left out. Alas, the News-Letter transcription has blanks in the same places, indicating that they were included in the North End Caucus’s original record. TOMORROW: But some contextual study can fill them in. The Occom Circle is an interesting online collection from the Dartmouth Library. In past decades, this collection might have been presented under the name of the Rev. Eleazar Wheelock, writer or recipient of most of the documents, or of the college he founded in New Hampshire. But here they’re organized around the Rev. Samson Occom (1727-1792, shown here), a Mohegan Presbyterian missionary who studied under Wheelock in Connecticut. Occom was quite a curiosity in the eighteenth-century British Empire. Wheelock sent him to Britain to raise funds for a new project: a seminary to train more Native American ministers to convert more Native Americans, and so on. I am very Jealous that instead of Your Seme­nary Becoming alma Mater, She will be too alba mater to Suckle the Tawnees, for She is already aDorn’d up too much like the Popish Virgin Mary She’ll be Naturally asham’d to Suckle the Tawnees for She is already equal in Power Honor and Authority to and any College in Europe, I think your College has too much wordly Grandure for the Poor Indians they’ll never have much benefet of it . . . In addition to this dispute over the Dartmouth student body, Occom also resented how his family had not received the support Wheelock had promised. For the rest of his life, Occom lived with his Christian Mohegan community, moving from Connecticut to the Oneida lands in New York in 1785. British Tars, 1740-1790 is a blog with a nicely specific focus: images of British sailors in those busy decades of the eighteenth century. The creator, Kyle Dalton, is a Revolutionary War reenactor who worked at the Maritime Museum of San Diego. Each entry is based on an image from that period that includes a sailor as either subject, background figure, or emblem. Dalton then offers a detailed analysis of maritime clothing, head to toe. Here comes Jack Tar, his bowed legs bracing him as if the very Broadway beneath his feet might begin to pitch and roll. In his dress he is, in the words of a superior, “very nasty and negligent,” his black stockings ragged, his long, baggy trousers tarred to make them waterproof. Bred in “that very shambles of language,” the merchant marine, he is foul-mouthed, his talk alien and suspect. Lemisch then wrote, “Clothes don’t make the man, nor does language; surely we can do better than these stereotypes.” He wanted historians to get beyond the upper-class notions of the time to consider those sailors as individuals with economic and political ideas of their own. Likewise, Dalton’s blog starts with the common figure of the common sailor and then looks at the variety and evolution of those men over time. It’s quite a voyage. Saturday, 25 October, will be the sestercentennial of the marriage of Abigail and John Adams. Friday, 24 October, 11:00 A.M. Descendant Abigail Elias LaCroix will portray Abigail Smith preparing for her wedding at her home, then traveling by horse and carriage to the church, where reenactor Michael LePage will be waiting for her as groom John Adams. Henry Cook IV will act the part of Abigail’s father, the Rev. William Smith, and officiate at the marriage. Rain or shine, free to all, but reservations are highly recommended. Organizers invite the public to wear eighteenth-century attire to the wedding reenactment and reception that follows at the Abigail Adams Birthplace. In the evening, there will be another reception at the Abigail Adams Birthplace in Weymouth. Admission to that is $125, or $100 for members of the Abigail Adams Historical Society. Admission is free; reservations are recommended because seats are limited. This symposium is co-sponsored by the Adams Papers project at the Massachusetts Historical Society. At noon, there will be a luncheon at the Abigail Adams Birthplace with Stanford professor Edith Gelles speaking on “Abigail and John: Portrait of a Marriage.” Admission is $25, $20 for members; reservations are recommended. Saturday, 25 October, 3:00 P.M. The Lydian Quartet and soloists Clara Osowski and Paul Max Tipton perform the world premiere of James Kallembach’s seven-song cycle inspired by the couple’s correspondence. Admission is free, but seating is first-come, first-served; limited to capacity. Parking available on Adams Street. An ecumenical service celebrating American independence, featuring readings from some of the nation’s founding documents. Admission is free; seating is first-come, first-served and limited. A coffee reception follows immediately at the Abigail Adams Birthplace. Following the reception, guests will be invited to proceed to the adjacent North Weymouth Cemetery for the laying of wreaths at the graves of Abigail Adams’s parents, Elizabeth and William Smith. Suffolk University is offering a free online course on the “History of Boston” with Prof. Robert Allison, chair of the college’s History Department and author of several short, solid books about local history. I believe this qualifies as a “M.O.O.C.,” though that acronym has been losing a bit of its buzz. The press kit includes the picture above, which is not how I’ve ever seen Bob Allison dress, but now I’m hoping that animated figure pops up in the videos. Registration is now open, and the videos become available on 20 October. One Woman’s Work for “Gentility and Consumerism” in Newport, 16 Oct.
On Thursday, 16 October, the Newport Historical Society will host a lecture on “Gentility and Consumerism in Eighteenth-century Newport: A Widow’s Story” by Christina J. Hodge. Hodge’s new book Consumerism and the Emergence of the Middle Class in Colonial America focuses on Rhode Island widow and shopkeeper Elizabeth Pratt. Between 1733 and 1734 Elizabeth Pratt finds herself battling a series of lawsuits in the courts of Newport surrounding years of consumer purchases of everything from silk riding hoods to silver spoons. Pratt, once a shopkeeper and tastemaker in Newport society, eventually finds herself losing her business, her home on Spring Street, and her freedom. Worse yet, Pratt loses her status in the “middling sorts:” the class of property-owning entrepreneurs who begin to expand colonial America’s class system, eventually leading to the rise of the middle class. Through the study of court records, as well as significant archeological evidence from Pratt’s own home, the effect of changes in material culture on class and gender relationships takes shape. Hodge will explore this emergence and the “Genteel Revolution” led by middling sorts, like Pratt, through their consumer and commercial practices. Hodge is Collections Manager and Academic Curator for the Stanford Archaeology Center Collections. She holds degrees from Boston University. This talk is scheduled to begin at 5:30 P.M. at the 1739 Colony House in Newport. Admission costs $5 per person, $1 for Newport Historical Society members; to reserve a seat, call 401-841-8770. A book-signing will follow, though the book is priced as a scholarly monograph and therefore may not be in everybody’s price range. But spending simply to show that one can is what eighteenth-century consumerism was all about, wasn’t it? Welcoming Three Documents to the Paul Revere House, 16 Oct.
On the afternoon of Thursday, 16 October, the Paul Revere House will welcome three documents related to the silversmith and early industrialist into its collection. The first of these is a letter that I quoted in 2012 when it was treated by the Northeast Document Conservation Center. Paul Revere wrote that note to his second wife, Rachel, in late April 1775 when the couple was separated by the siege lines around Boston. Elbridge Goss transcribed the letter in his biography of Revere over a century ago, but then the document was thought to be lost until an heir and the Revere House staff recognized its significance. The second document is a receipt from April 1778 when Revere was a lieutenant colonel in the Massachusetts artillery corps commanding at Castle Island. The site says, “It is one of only few surviving documents that are both written and signed by Revere using his military rank.” It came down in the same branch of the family as the letter to Rachel Revere. Last is a copy of the 10 June 1775 Pennsylvania Ledger with a supplement printing “An Account of the Commencement of Hostilities between Great-Britain and America” by the Rev. William Gordon of Roxbury. That detailed report mentioned Revere by name. The newspaper was donated to the Paul Revere House by historic tour guide Ben L. Edwards and his family. At 2:30 on Thursday, the Paul Revere Memorial Association, which runs the house, will host a ceremony titled “My Dear Girl: A Revere Letter Returns.” An actress portraying Rachel Revere will read the letter as she did in 1775. All three documents will then be available for public viewing in the Pierce-Hichborn House while tours go on next door inside the Revere House. Daigler Speaks on Intelligence at Minute Man Park, 15 Oct.
On Wednesday, 15 October, Kenneth Daigler will speak on the topic of his book Spies, Patriots and Traitors: American Intelligence in the Revolutionary War at the Minute Man National Historical Park’s Visitor Center in Lexington. This event will start at 7:00 P.M. and end with a book signing. Daigler is a retired career C.I.A. operations officer who has degrees in history from Centre College of Kentucky and the Maxwell School at Syracuse University. C-SPAN recorded one of his earlier talks. In the Fall of 1774 & Winter of 1775 I was one of upwards of thirty, cheifly mechanics, who formed our selves in to a Committee for the purpose of watching the Movements of the British Soldiers, and gaining every intelegence of the movements of the Tories. We held our meetings at the Green-Dragon Tavern. We were so carefull that our meetings should be kept Secret; that every time we met, every person swore upon the Bible, that they would not discover any of our transactions, But to Messrs. Hancock, Adams, Doctors Warren, Church, & one or two more. About November, when things began to grow Serious, a Gentleman who had Conections with the Tory party, but was a Whig at heart, aquainted me, that our meetings were discovered, & mentioned the identical words that were spoken among us the Night before. We did not then distrust Dr. Church, but supposed it must be some one among us. We removed to another place, which we thought was more secure: but here we found that all our transactions were communicated to Governor Gage. (This came to me through the then Secretary [Thomas] Flucker; He told it to the Gentleman mentioned above). The M.H.S. has shared the images and text of that letter. Some of the details of that letter have become distorted in the retelling. For example, Revere said that his group started meeting in the Green Dragon Tavern, but moved out after “About November” because it didn’t seem secure enough. He didn’t say where the group met in 1775, but we know it wasn’t the Green Dragon. Yet that tavern gets all the credit. William Hallahan’s The Day the American Revolution Began says that Revere’s group was “called the Committee of Observation.” Boston 1775 readers may recall how little I think of that book, and that’s yet another statement with no basis in eighteenth-century documents. New York Patriots formed a “Committee of Observation” to enforce the boycott on British goods. New England Patriots talked about creating an “Army of Observation” in early 1775, which was a euphemism for not quite going to war, like “military advisors.” But neither Revere nor anyone else used that term for this self-appointed committee. 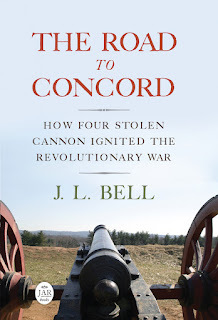 Daigler’s book refers to Revere’s group as “the Mechanics,” as if that were their formal name. That’s rather like calling a small group “the Working Class” or such. In fact, Revere’s phrase “cheifly mechanics” suggests that not all those men came from that social stratus, though whether the exceptions were genteel merchants, mariners, or something else isn’t clear. Again, Revere named no names, even fifteen years after the war ended. Such secrecy makes the topic of Revolutionary War espionage all the more intriguing. Launch of the Hutchinson Letters in Boston, 15 Oct. According to the Whigs of late colonial Massachusetts, the two great political villains of the age were the royal governors Sir Francis Bernard (1712-1779) and Thomas Hutchinson (1711-1780). Bernard was a British aristocrat who served in a number of colonial posts, including governor of New Jersey, before governing Massachusetts from 1760 to 1769. His arrival coincided with the ascension of George III and successes against the French in Canada, so people felt fairly optimistic about his administration at the start. But when Bernard sailed away from Boston in 1769, there were literally public celebrations: flags waving, cannons firing. Hutchinson, in contrast, was from an old Massachusetts family, had ties to all the top local institutions, and won election to his first public offices in Boston. He was also a diligent historian of the province, and everyone respected his intellect. 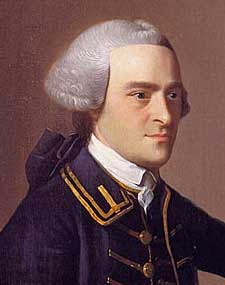 He became lieutenant governor in 1758 and was also chief justice from 1761 to 1769. Hutchinson took over as acting governor when Bernard left, dealing with the Boston Massacre in that capacity, before finally attaining the top post himself. Both Bernard and Hutchinson lost standing after letters they had written to colleagues in London were leaked back to Massachusetts and published. Local Whigs declared that those letters showed how each man had misrepresented events in New England, encouraged the London government to curtail the province’s self-government, and conspired against the interests of the people they were supposed to look after. Now we can view those published letters in the context of the men’s larger correspondence. The Colonial Society of Massachusetts has been publishing the papers of both governors in large scholarly editions. With the release of The Correspondence of Thomas Hutchinson, 1740-1766, both series run through the Stamp Act riots of 1765, when a mob destroyed Hutchinson’s house in the North End. The Colonial Society will launch that volume and salute its editors, John W. Tyler and Elizabeth Dubrulle, on Wednesday, 15 October, at 5:00 P.M. The program will begin with a brief talk on Governor Hutchinson by Tyler and continue with open discussion accompanied by refreshments, book sales, and signings. This event will take place at the society’s headquarters at 87 Mount Vernon Street on Beacon Hill. It is free and open to the interested public. 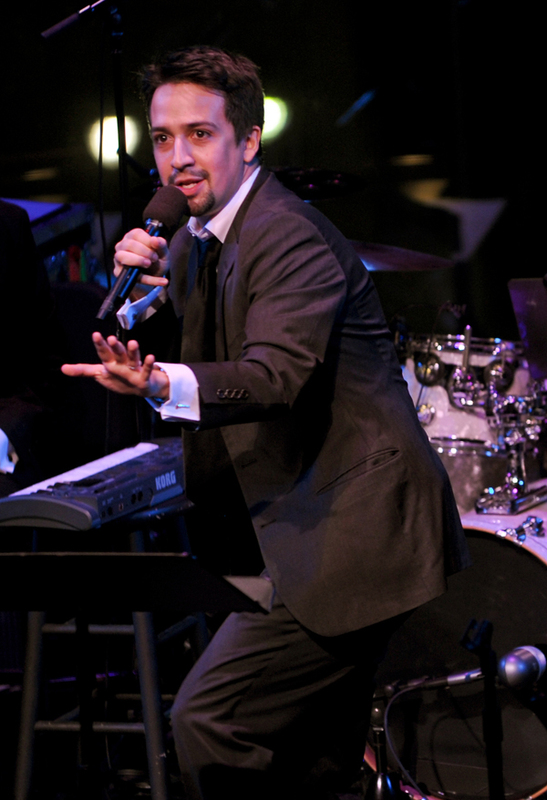 Early next year Lin-Manuel Miranda’s musical about Alexander Hamilton is scheduled to open Off Broadway in New York. Miranda, who won Tony and Grammy Awards for In the Heights, performed some of this material as “The Hamilton Mixtape” at an evening of poetry at the White House in 2009 and at Lincoln Center. That song cycle was in turn inspired by Ron Chernow’s biography of Hamilton. From Michael Quinion’s World Wide Words I learned that the phrase “Liberty-Hall” appeared in print in Britain at the same time the American colonies were demanding British liberties as well. Is the Toast of the Times; that is Liberty-Hall. And form’d the front pillars of Liberty-Hall. For Life is not Life out of Liberty-Hall. The Genius of England in Liberty-Hall. The doors were thrown open of Liberty-Hall. GOD BLESS HIM, and bless us, in Liberty-Hall. For LIBERTY-HALL is an ENGLISHMAN’S HEART. You catch the outrageous French accent near the end there? In 1773 a charming but not entirely upright character used the same phrase in Oliver Goldsmith’s play She Stoops to Conquer, with a more libertine meaning: “This is Liberty-hall, gentlemen. You may do just as you please.” But originally the phrase was part of a musical expression of how British Whigs viewed their nation’s history. On the left side of Johann Zoffany’s group portrait of the Royal Academy in 1771-72, toward the back of the crowd, is an unusual face for eighteenth-century London: a Chinese artist named Tan Chitqua. Aged about forty Chitqua made the unusual decision to visit Europe, and was probably the first Chinese clay portrait artist to do so. He arrived in London on 11 August 1769 having travelled with a Mr Walton on the East Indiaman the Horsendon. He lodged with Mr Marr, a hatter, in premises at the corner of Norfolk Street and the Strand, London, until 1772. Here, on 21 September 1769, he met James Boswell who described ‘not a man of fashion but an ingenious artist in taking likenesses in terracotta (fine earth), which he works very neatly’. . . . Subsequent descriptions of Chitqua included Gough’s account of a middle-sized man, about or above forty, ‘thin and lank…his upper lip covered with thin hair an inch long, and very strong and black; on his head no hair except the long lock braided into a tail almost a yard long’. . . . In London, Chitqua worked as a modeller producing likenesses of sitters using clay that he had brought from China. His sitters were depicted wearing costumes also moulded from clay which was later coloured. Chitqua charged 10 guineas for a bust and 15 for a full-length clay figure. Some of his figures were modelled as seated; those shown standing were about 40 centimetres in height with the designs often including model chairs, trees, or rocks to support the figures. Chitqua depicted the faces of his sitters in an extremely realistic manner and the finished portraits often incorporated detachable wigs made of the subject’s own hair. The Oxford D.N.B. also shared this video about Chitqua, showing how one of his few surviving figures in Britain fits together. 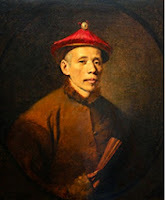 After four years in London, Chitqua returned to Canton, where he continued to create portraits for the city’s merchants. The British press reported that he took his own life in the mid-1790s. The comments from Colorado education officials I’ve quoted this week confirm that, and fill out what those folks think “American Exceptionalism” mean, such as a “positive” view of the country. Views of the American national character and ideas about American exceptionalism. Recognizing regional differences within the context of what it means to be an American. Note how that theme, like most of the guideline section in that older version of the course, didn’t come expressed in complete sentences. Instead, we got plural noun forms: “ideas about American exceptionalism.” That left open the possibility of teaching American exceptionalism as a God-given superiority to all other human beings, or as an outdated nationalistic chauvinism. Perhaps that vagueness kept everybody happy. The diversity of the American people and the relationships among different groups. The roles of race, class, ethnicity, and gender in the history of the United States. Once again, a right-wing complaint about this new version of the A.P. guidelines being so different from the previous version turns out to be an easily revealed lie. But at least Kurtz was honest in expressing his resentment of teachers treating ”race, gender, class, ethnicity, etc.” as important issues in U.S. history. 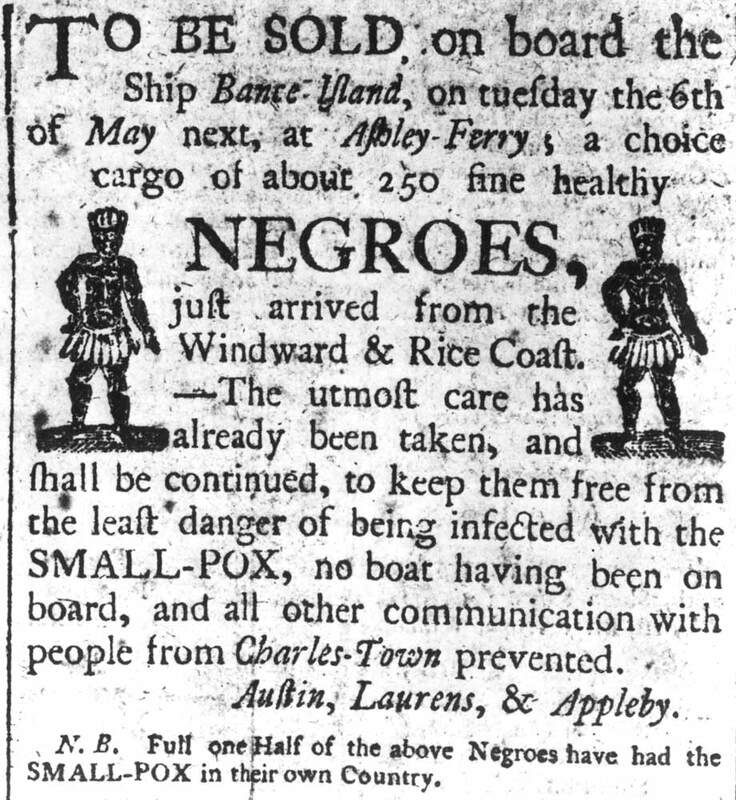 As an example, I note our slavery history. Yes, we practiced slavery. But we also ended it voluntarily, at great sacrifice, while the practice continues in many countries still today! Shouldn’t our students be provided that viewpoint? This is part of the argument that America is exceptional. Does our APUSH (AP U.S. History) framework support or denigrate that position? Mazanec’s comments showed ignorance of the facts, or willingness to distort them, in multiple ways. First, it’s quite a narrow viewpoint to say that America “ended [slavery] voluntarily.” In a large portion of the country, slavery was ended through military force. Americans call this our Civil War. It’s on the test. Second, other nations did end slavery without civil war, and before the U.S. of A. did. Having a popular movement to end slavery is thus a very poor “part of the argument that America is exceptional” among nations. In fact, America is exceptional in the history of our continent in not ending slavery through law rather than war, and not until 1865. Third, while Mazanec claimed in her comment to “have read the framework and the sample test,” she didn’t acknowledge that the new A.P. U.S. History guidelines do mention the movement within American society to abolish slavery. Several times, in fact: points 3.2.III.A, 4.1.II.A, 4.1.III.C, 5.2.I.B., and 5.3.II.A. Abolitionism also comes up four times in the sample questions provided with those guidelines. And the framework comes with an index that should make finding those references quick and easy, even if one can’t just search the P.D.F. download. It’s not just about the U.S. of A. being “exceptional,” but about it being positive. It’s about making Americans feel good about the nation’s past, and better than people of other nations. That positive view of America doesn’t need to be based on facts. If necessary, proponents of the idea can twist or ignore facts to enhance their positivity. Proponents of American exceptionalism also don’t feel bound to facts in describing educational programs they oppose. If a history lesson doesn’t make them feel good, it must be missing something. Unfortunately, such certainty is error is not exceptional. The same claims seem to pervade the opposition to the new A.P. guidelines. Last month I wrote a few postings about the controversy over the new guidelines for the Advanced Placement U.S. History test and course. I found that some prominent complaints about those guidelines were simply false, and that the most vocal critic among educators appears to have a financial interest in preventing the College Board from instituting the new test. Those phrases “encourage or condone civil disorder, social strife or disregard of the law” and “present positive aspects of the United States and its heritage” come from Texas’s education guidelines. The county Parent-Teacher Association “voted unanimously” to oppose the move. The Jefferson County Education Association voted “no confidence” in the new head of the education board, and teachers called in sick in large numbers. Students staged a long and boisterous walkout. The South JeffCo Tea Party is a big supporter of Williams’s approach—despite taking its name from an episode of “civil disorder, social strife [and] disregard of the law.” That sort of ignorant double standard produced ridicule across the country. Last, when it comes to history I believe all children graduating from an American school should know 3 things: American Exceptionalism, an understanding of US History, and know [sic] the Constitution. Parallel structure aside, Williams thus admitted the ideological point of her protest, which matches the real reason for many other people’s protests about the A.P. guidelines: they want students to be taught that the U.S. of A. is special. That’s a form of indoctrination, not just education. I prefer to think that if schools teach students about U.S. and world history accurately, they’ll be able to decide if and how the U.S. of A. is special. They’ll be able to reach their own conclusions about what parts of our national history are admirable, what parts should spur us to do better, and how best to reach collective decisions. 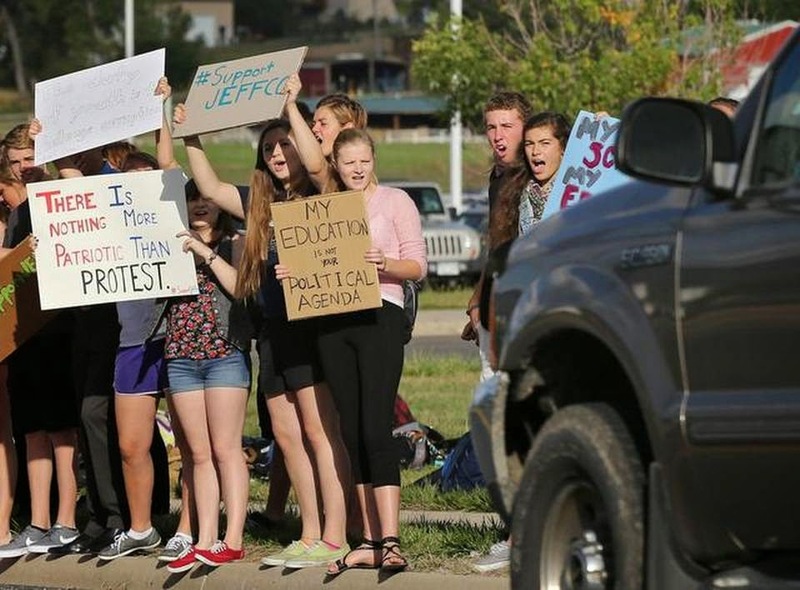 Last week, after fierce public debate, the Jefferson County school board’s conservative majority adopted a version of Williams’s proposal that requires her review committee to include teachers and students and to have open meetings. Since school curricula were already reviewed at two levels, the board’s new conservative majority thus managed to add a layer of bureaucracy. The underlying conflict has in no way been resolved. TOMORROW: Exceptionalist thinking in action. Growing up in Boston exposes people to an above-average amount of Revolutionary history, and that can come out in many ways. For Brendan Powell Smith, a native of Norwood and graduate of Boston University, one outlet is the Revolution! : The Brick Chronicle of the American Revolution and the Inspiring Fight for Liberty and Equality That Shook the World. Brendan Powell Smith pulls back his curly shoulder-length hair and scans the bins filled with tiny plastic heads, capes, wigs, limbs, glasses, animals, and guns that surround him. He knows that what he really needs to build the base of a convincing guillotine is his container of brown LEGO bricks. The chopping block is needed for a pivotal scene in his new book, Revolution! 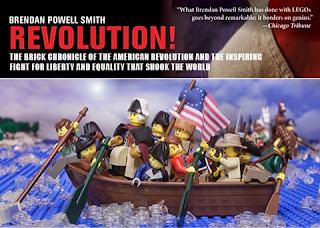 : The Brick Chronicle of the American Revolution and the Inspiring Fight for Liberty and Equality That Shook the World, to be published next month [i.e., October] and illustrated with full-page photographs of scenes constructed entirely with LEGO. Half of the book tells the story of the American Revolution; half is dedicated to the French Revolution. This book follows Smith’s recreations of the Bible and famous American assassinations in the same artistic medium. 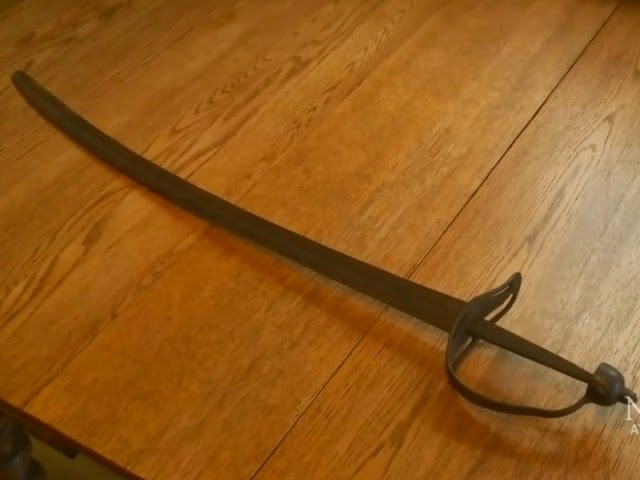 Homeowners in Guysborough, Nova Scotia, were having some renovations done when the workers brought down a saber they had found behind a wall. Specifically, according to experts at the Army Museum at Halifax, it’s a cavalry saber of the sort used by the British army around 1780. It’s got “GR” stamped on the hilt. That would presumably be the King’s Carolina Rangers, a Loyalist unit listed here on Todd Braisted’s website. There were, to be sure, other mounted regiments fighting for the Crown. Capt. Joseph Marshall, a native of Ireland, settled first at Country Harbour and then moved to Guysborough in 1794. According to the town death records, he died in 1848 at the age of ninety-three. However, Capt. Marshall never lived in that house, nor did his descendants. The house wasn’t even built until 1939, when a retired sheriff moved in. And that man’s job might explain the source of the saber. Back in January 1829, a somewhat recent arrival from Ireland, Dr. Henry Inch, was mysteriously murdered in Guysborough, stabbed several times with a sword outside his house one night. The National Post has the details. Four men were charged with the murder, including Henry Marshall, one of the Loyalist captain’s sons. However, when a local magistrate called witnesses for an inquiry, no one could remember anything pertinent about the night. Dr. Inch hadn’t made a lot of friends in Guysborough, but he had gotten married—to a rich older widow. People whispered that he was stealing her money. Perhaps he was abusing her. And then he wasn’t. The town buried the doctor and soon after elected three of the four men suspected of killing him to local offices. And the cavalry saber? The locally favored, or favoured, theory is that it might have been the murder weapon, confiscated from Henry Marshall or his father as part of the murder investigation in 1829, kept in storage by the local sheriffs until the 20th century, and then taken home by the retiring sheriff who built that house.